Hubstaff now offers support for budgets and time limits for your team members. Setting it up is quick and easy – once you’ve set a member’s weekly time limit (in hours), you will be all set. Your members will not be able to track time (or add manual time) once their weekly budget has been reached. Of course, you can override their weekly budget at any time – whether you want to just change it for the current week or increase the weekly budget. Click the create button next to any member you wish to set a weekly time limit for. After setting a budget for member, you will have options to edit the budget, override the current week’s budget, or remove the budget altogether. You can prevent a member from being able to track any time by setting their budget to 0 as well. Once a budget has been set, the member will see it on their Hubstaff app – they’ll be able to tell what their total weekly budget is an how many hours of it they have worked. 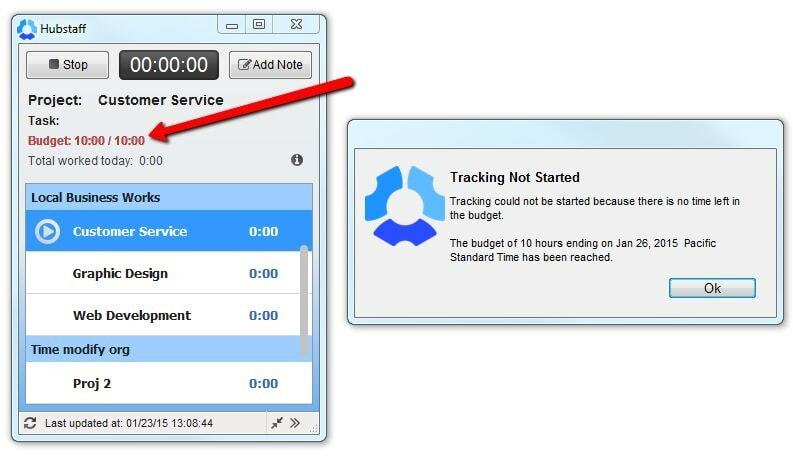 When the member reaches their weekly budget, their time tracking will stop automatically and they will be notified. They will not be able to track any more time in the week. You (the organization owner) will also receive an email letting you know their budget has been reached. That way, you’ll be able to determine if you need to increase a member’s hours or see who are hitting their targets. Hubstaff also offers project budgets, which will allow you to track how much time and money has been spent towards a project. 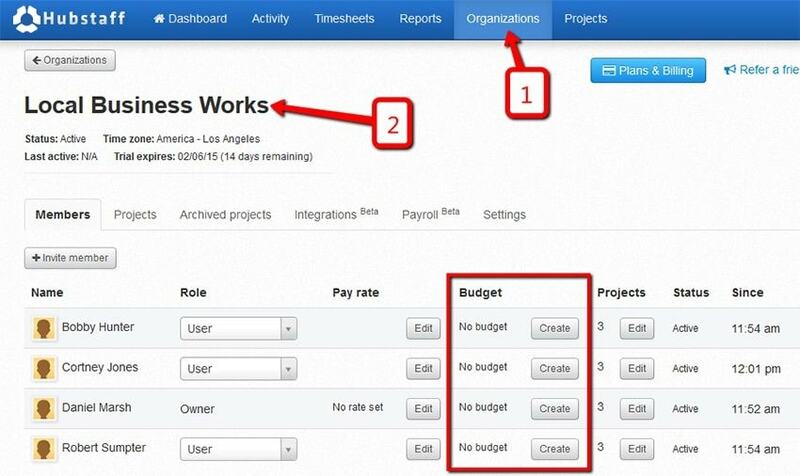 For a detailed guide, please refer to setting up Hubstaff budgets and time limits.